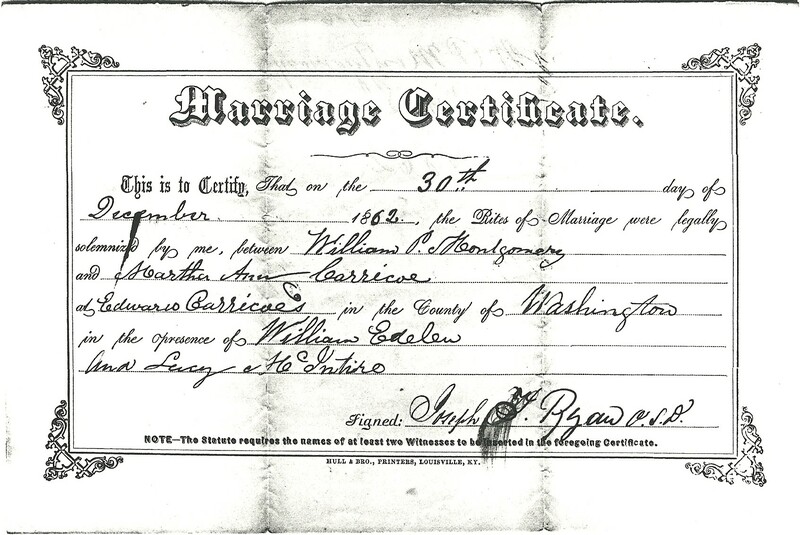 This is the marriage certificate for my great-great-grandparents, William Peter Montgomery and Martha Ann Carrico. 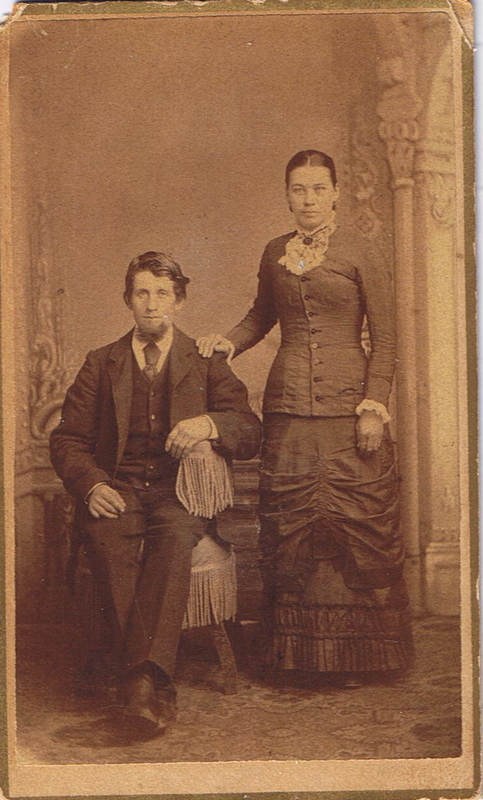 They were married December 30, 1862, in Washington County, Kentucky. 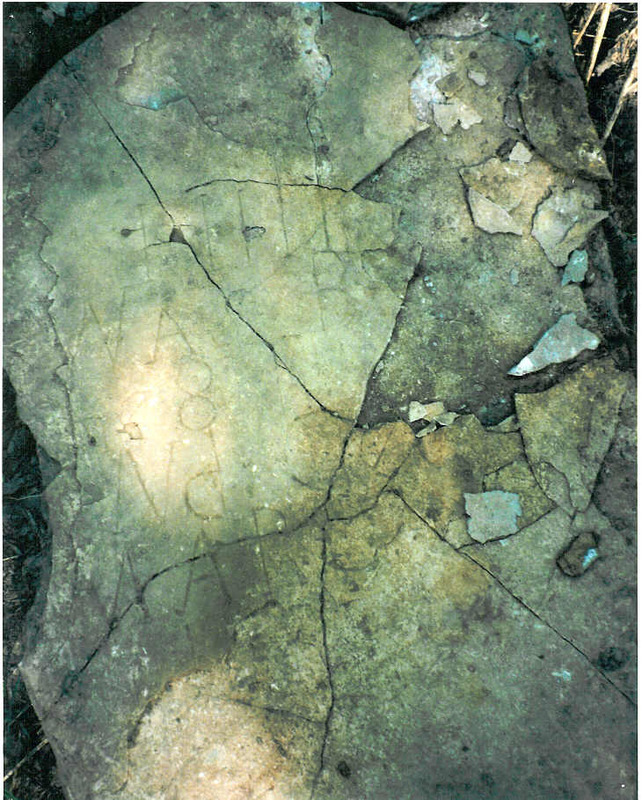 This was a second marriage for William. 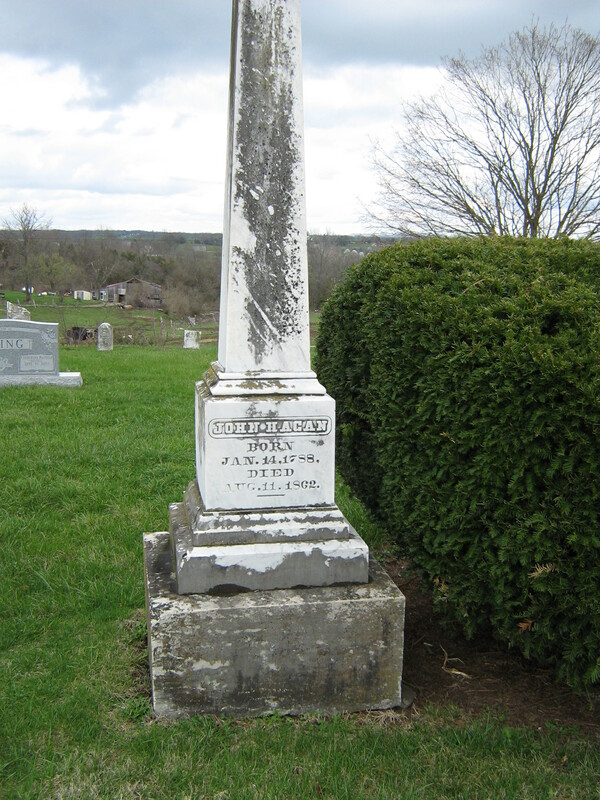 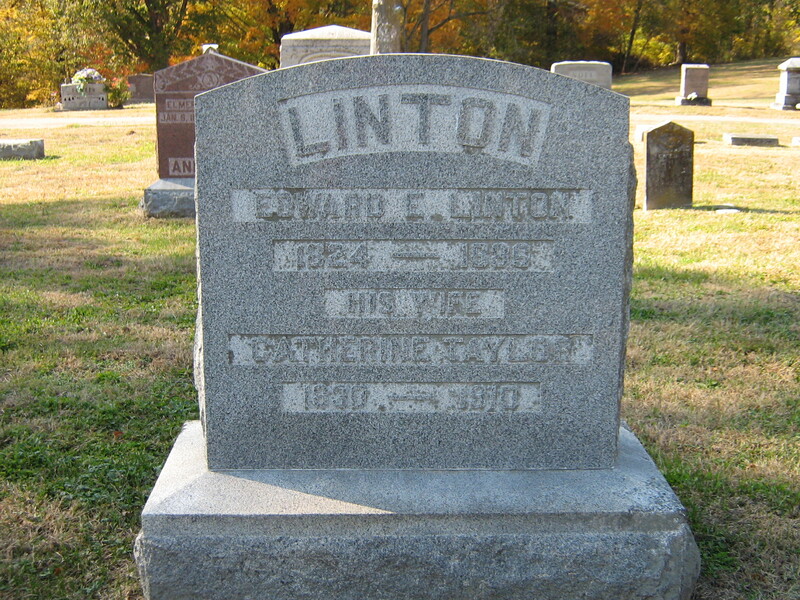 He married Ann E. Woodward November 20, 1855, also in Washington County. 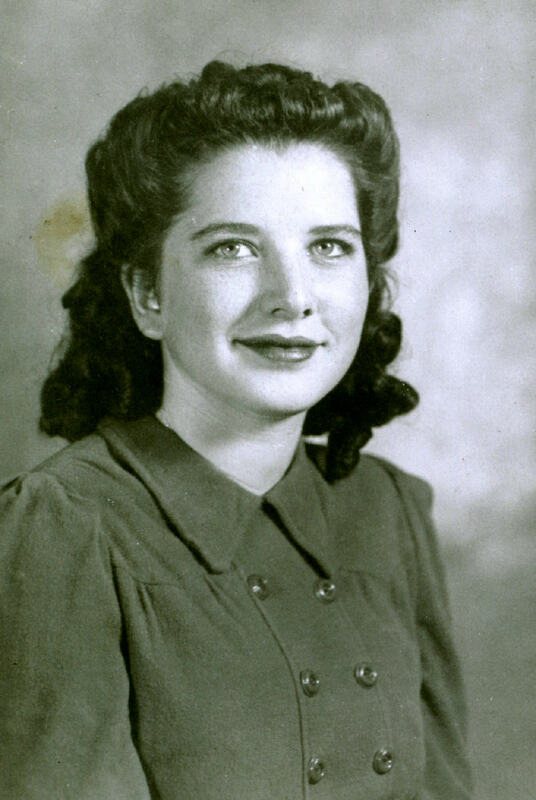 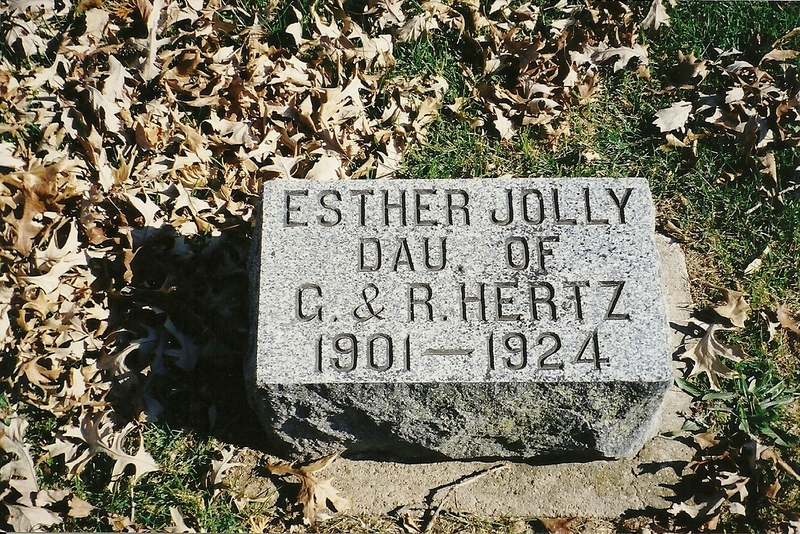 She died within a few years, leaving no children. 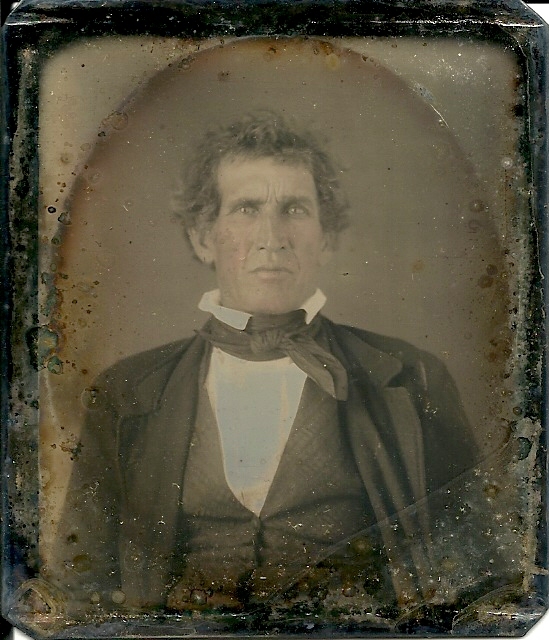 William was the son of William Peter Montgomery and Mary Polly Yates. 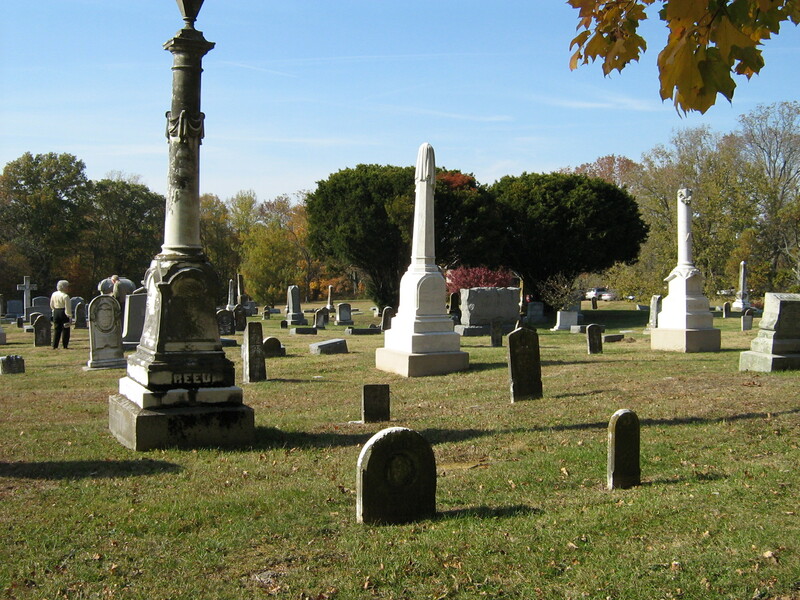 William, Sr., was a victim of the cholera epidemic of 1833, dying June 19th of that year. 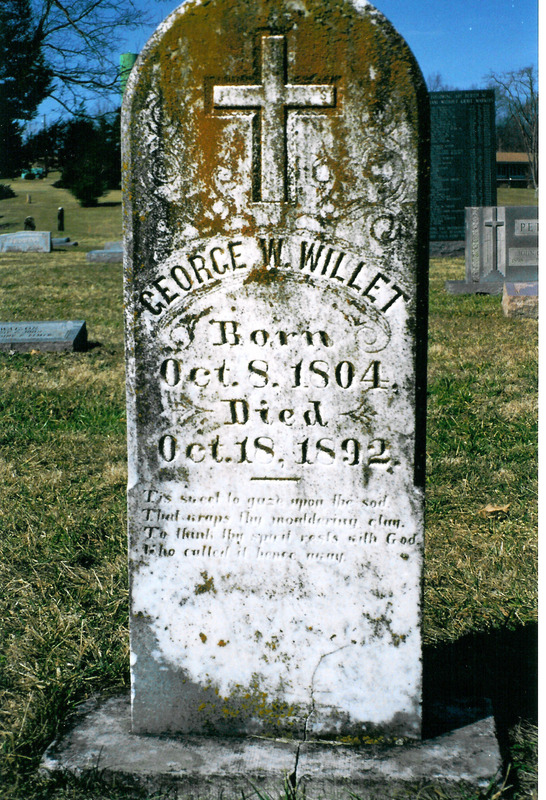 William, Jr., was born two months later on August 7. 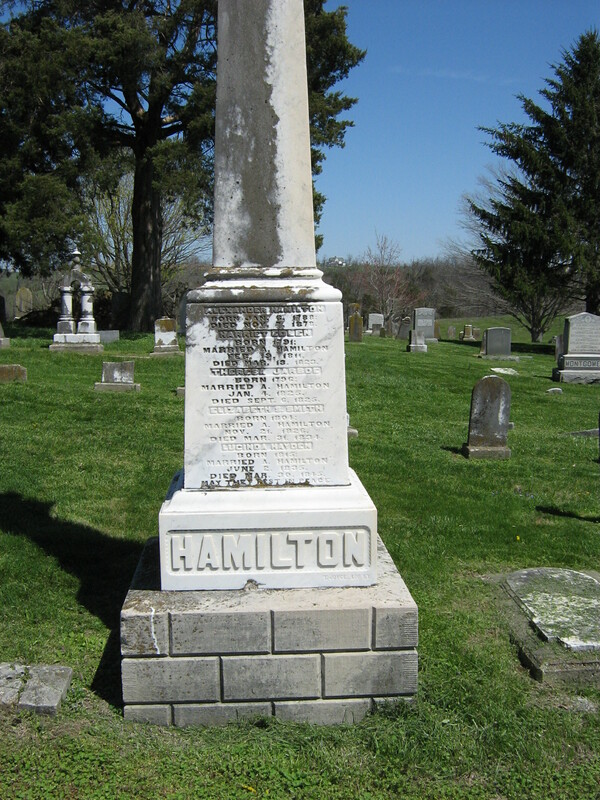 William, Sr., was the son of Charles Montgomery and Mary Ann Elder of Charles County, Maryland. 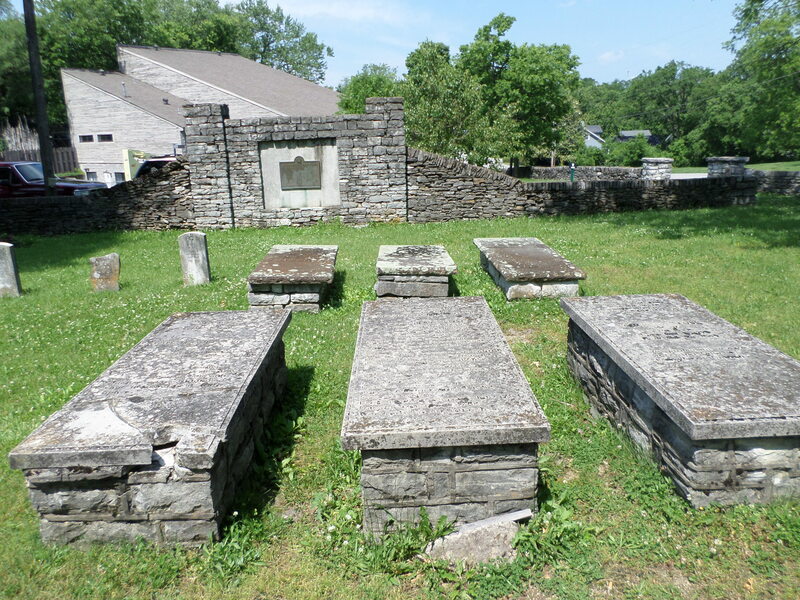 They moved to Kentucky before 1798. 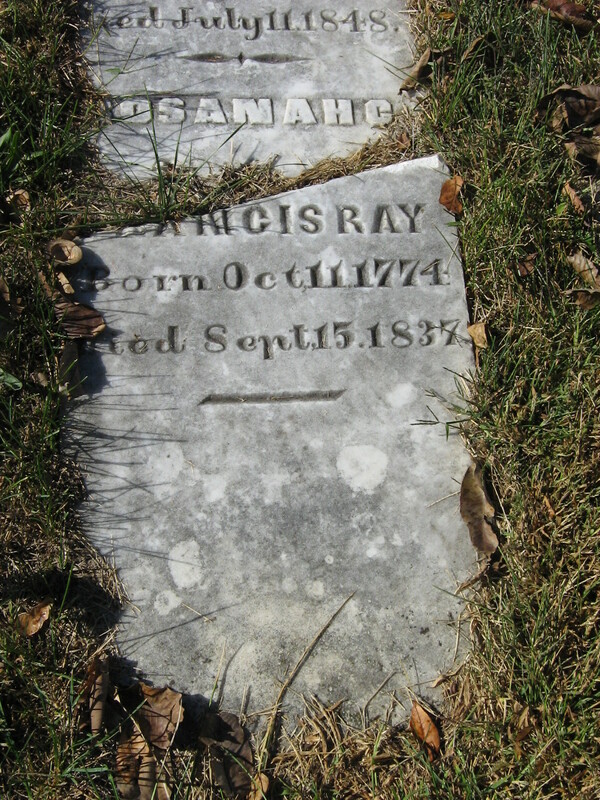 Mary Yates was the daughter of John Yates and Henrietta Cambron. 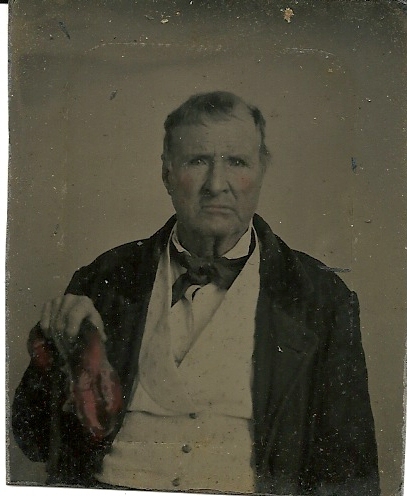 William’s grandfather, John Estes Yates was a veteran of the Revolutionary War. 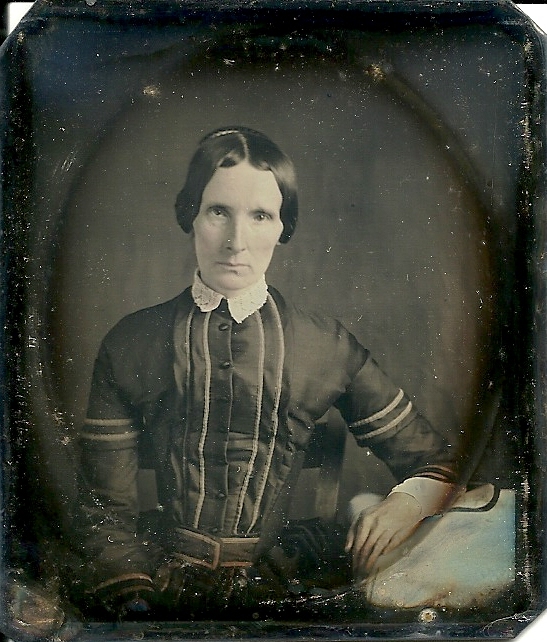 Martha was the daughter of Edward Carrico and Matilda Catherine Dillehay, born October 26, 1839, in Washington County. 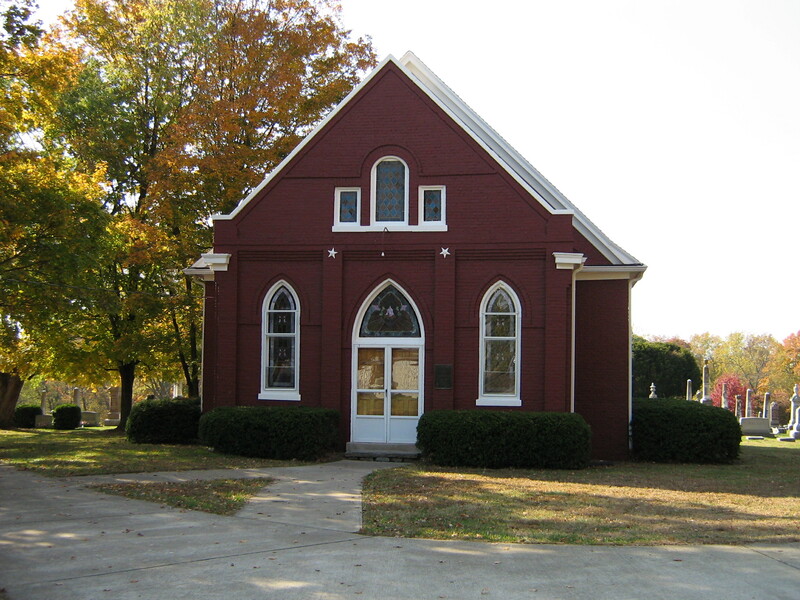 Edward was born in Nelson County, Kentucky, the son of Cornelius Carrico and Susanna Shanks, both also from Charles County, Maryland. 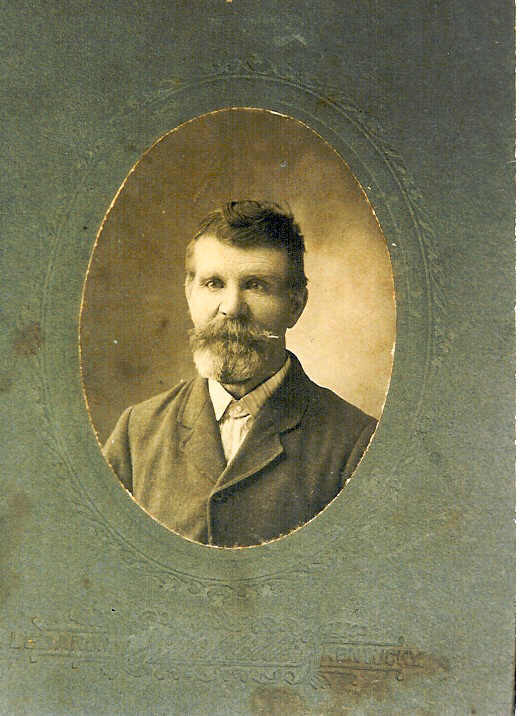 Matilda’s father was John C. Dillehay. 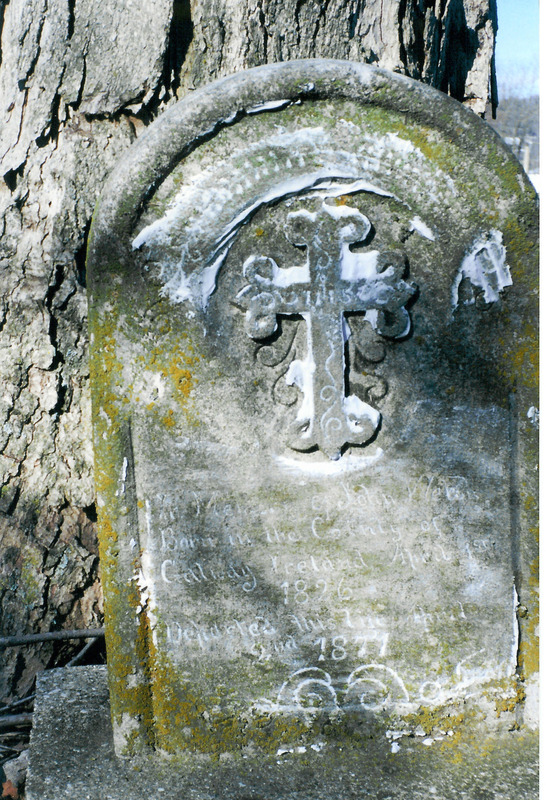 They were all part of the Catholic contingent that came from Maryland to Kentucky in the early days of the state. 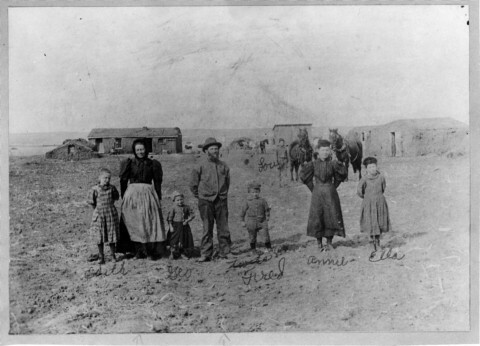 William and Martha Montgomery had 10 children: John Thomas, Robert E. Lee, Anna Laura, William Edward, Mary C., Samuel Howard, Louise Mary, Charles Hampton, Frances B. and Sarah Isabelle Montgomery. 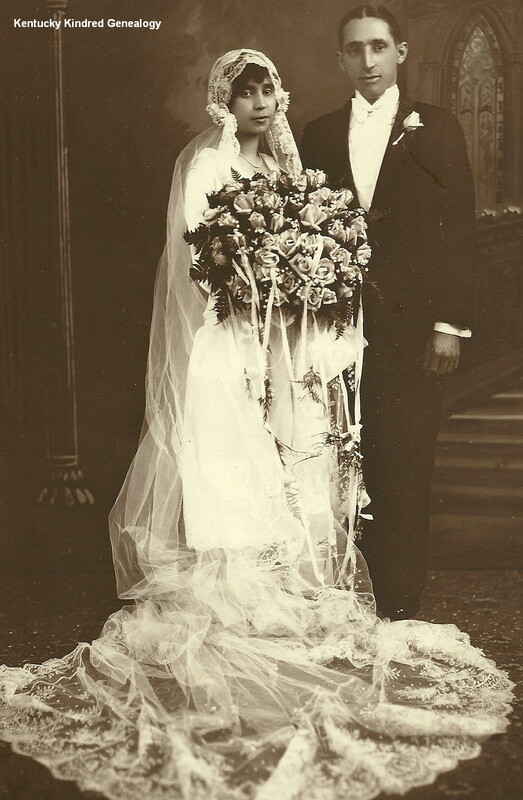 They both enjoyed a long life together. 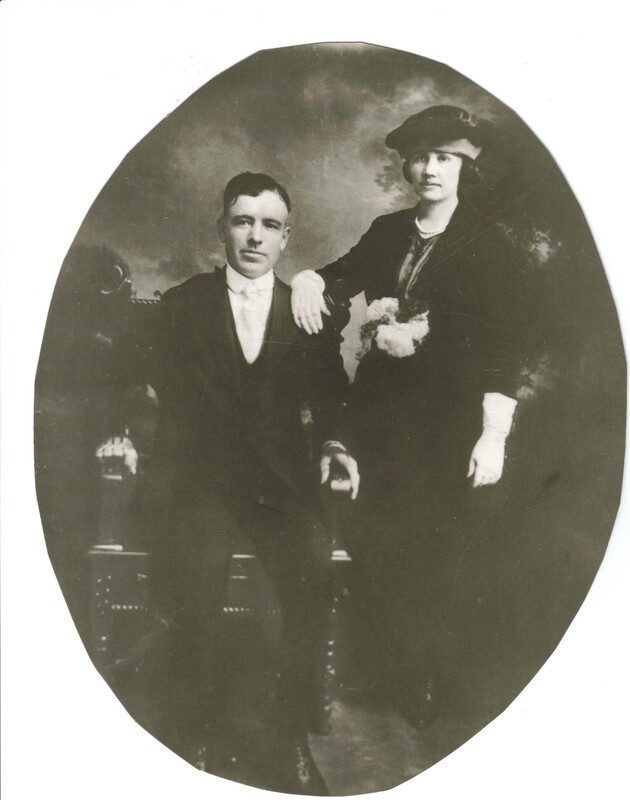 William died August 22, 1910, and Martha, October 17, 1921. 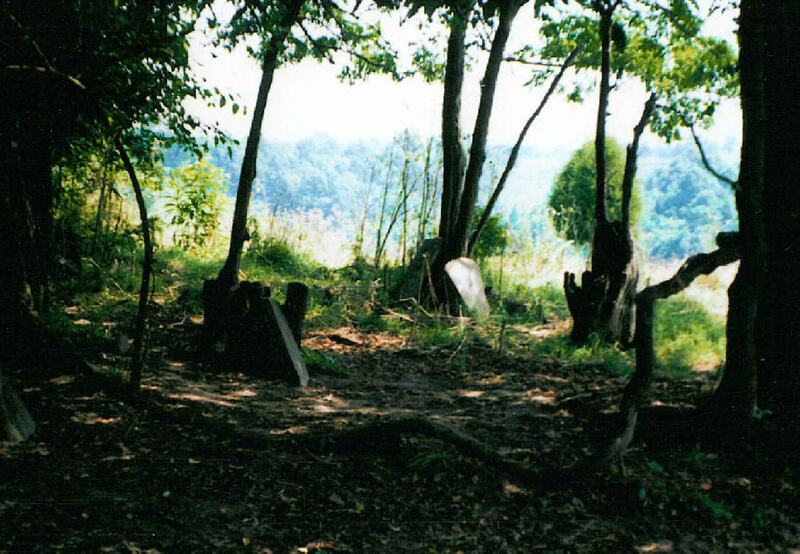 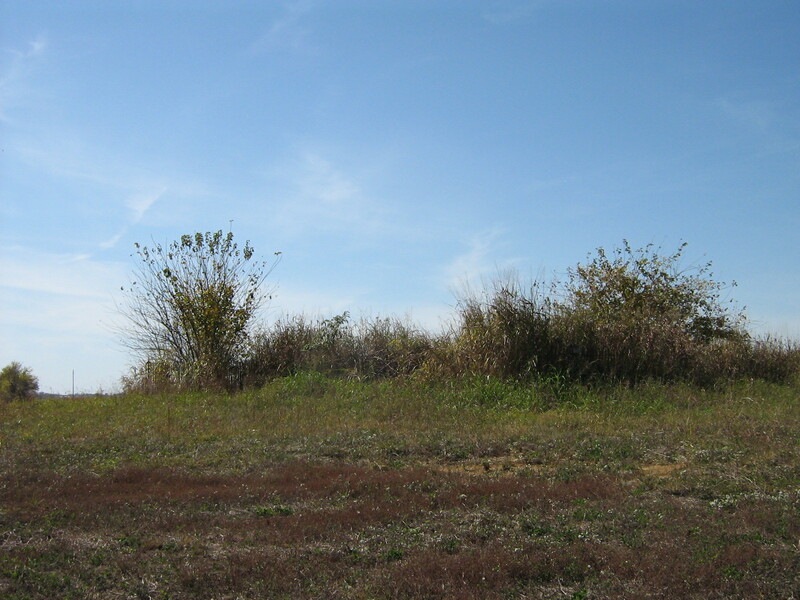 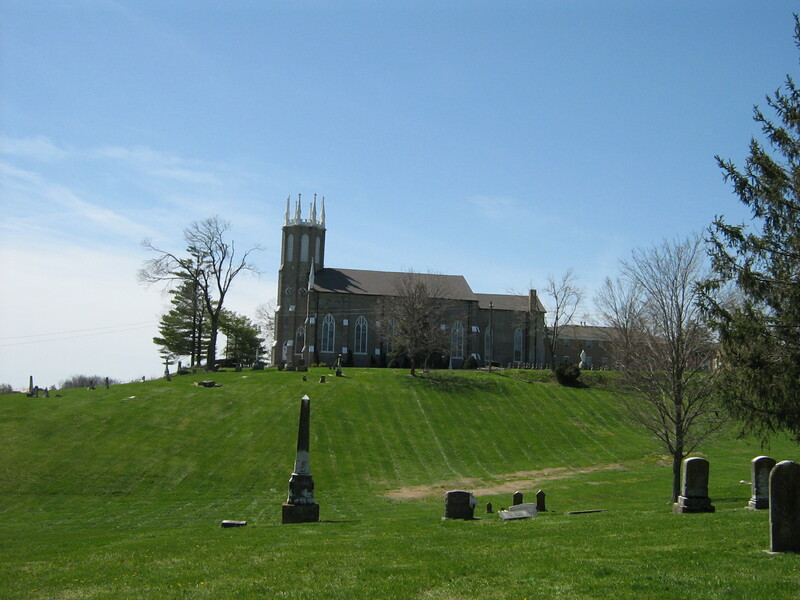 They are buried in St. Dominic’s Cemetery in Washington County.